PSYCHOLOGISTS will tell you that even perfectly sane people have the ability to accept wild conspiracy theories. The more powerless or alone we feel, the more likely we are to develop such theories. It’s all linked to self-esteem. If you’re the sort of person who feels isolated or disenfranchised, you’re much more likely to develop wild theories as a way of making you seem more knowledgeable, more powerful, more special. SIMPLE REBUTTAL: People who say it was an inside job are split into two camps. There are those who say the US government cooked up and enacted the whole crazy plot, and those who say they let it happen without intervention. In both cases, conspiracists generally claim that the aim was to give the Bush government an excuse to wage war on the Islamic world. So here’s your simple rebuttal. US governments have shown for decades that they will intervene when and where it suits them. The last thing they need to do to justify any foreign policy is kill 3000 of their own citizens. STUPID THEORY 2: The twin towers did not collapse. They were demolished. SIMPLE REBUTTAL: 9/11 “truthers”, who would perhaps be more accurately described as 9/11 “liars”, like to rope in an expert to tell you that no office fire ever made a building topple. Well, that’d be because no office fire was ever as big as these two, with as much jet fuel to help it along. But the real reason the twin towers collapsed was structural. Most buildings have their core structural supports at the centre. The towers had some major central steel columns, but that elegant exterior steel shell was also crucial in providing perimeter support. Also, the perimeter columns supported massive steel trusses which supported each floor. So basically, when the exterior of the building was penetrated so devastatingly by the planes, the structure’s ability to hold itself up was threatened. So when one floor went, the combined weight meant they all went. STUPID THEORY 3: World Trade Center 7 did not collapse. It was demolished. SIMPLE REBUTTAL: Riiiight, so the world’s tallest tower collapses on its neighbour less than 200m across the road. You’ve got 110 storeys of rubble pummelling a 47-storey building, setting it on fire, covering it in untold extra weight and inflicted untold stresses. And later that day, when the smaller building collapses, it’s obvious the CIA did it with explosives. And Elvis left the building right before it happened. Oh, and if you want a secondary explanation of why the building really wasn’t toppled by mysterious people with explosives, try googling any of the so-called architects or engineers in the wacky YouTube vids. Almost none of them appear to be either a) currently employed or b) affiliated with any group other than 9/11 conspiracy groups. 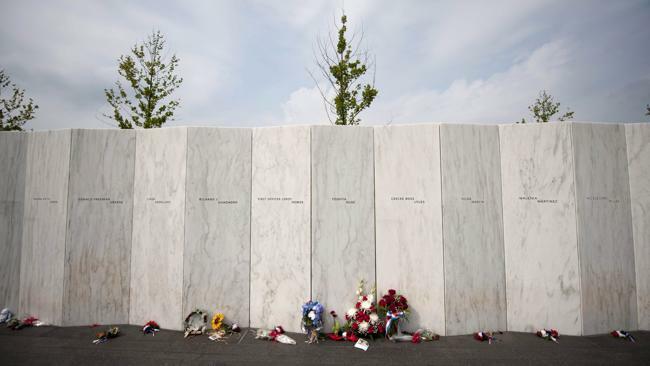 STUPID THEORY 4: FLIGHT 93 was shot down in Pennsylvania and the people who were supposedly on it were murdered or relocated. SIMPLE REBUTTAL: The small jet flying low in the area, which some believe shot down Flight 93, was in fact a business jet which had been instructed to fly low to inspect the wreckage. Also, the log of calls made from Flight 93 is pretty compelling evidence that those were real people aboard a hijacked jet. If these people are actors who are actually still alive somewhere, the real mystery is why they haven’t made squillions in Hollywood. Because they were seriously convincing. STUPID THEORY 5: There was no “stand down” order, which proves the US government dunnit. SIMPLE REBUTTAL: A stand down order is an order from the North American Aerospace Defence Command (NORAD) to scramble fighter jets. 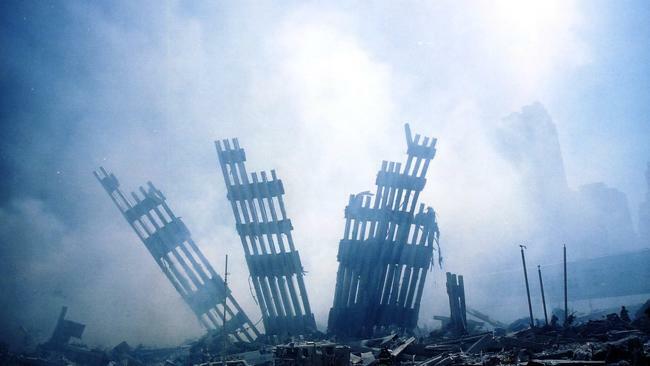 This didn’t happen until too late on September 11, prompting conspiracists to say the government deliberately held off to let the carnage unfold. But NORAD didn’t actually track flights within America prior to 9/11. Also, the hijackers turned off the transponders on their planes, which meant Air Traffic Control couldn’t track them. And NORAD needed an alert from Air Traffic Control to act. So basically, you had a system which ensured bureaucratic bungles, but that’s a far cry from complicit officials. STUPID THEORY 6: They weren’t planes, they were missiles. SIMPLE REBUTTAL: Some of the worst nutters claim that the original planes which struck the twin towers weren’t planes but missiles. This was fuelled by an early eyewitness account broadcast on live TV from a journalist who said he thought the first plane had no windows. But the journalist saw the plane in a blink of his eye – a fact ignored by conspiracists who have seized on this statement. The obvious plane-sized holes in the buildings are a bit of a giveaway too. But you know, maybe they were just caused by Batman or something. Next Post Has alien life been found in a meteorite? Or the sky? Or [Insert Location Here]? I am a conspiracy-haunted butthead; after reading your posts, I’m starting to finally see how crazy I’ve been to blindly and slavishly follow this lunatic conspiracy, disinformation cult! Thanks heaps guys for waking me up from my brainwashed stupidity! Obviously the author never listened to Minetta say Cheney prevented the AF from properly responding and Donald Rumsfeld changed the protocol for hijacked planes in June of 2001. 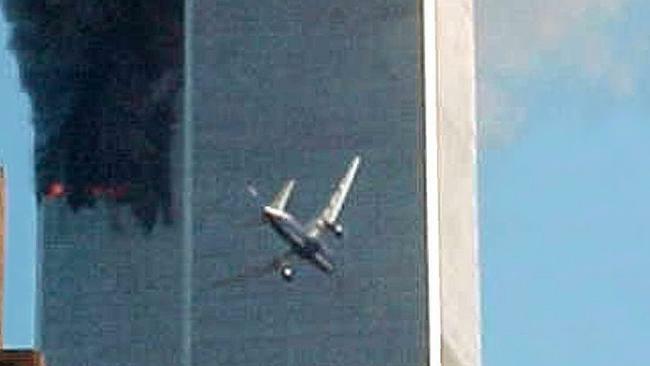 Look closely at the planes that flew into the WTC because to this day, even magnify the pictures of the Jets, you can not see any United or American logos or markings. It just looks like a grey jet. Very odd because 911 happened on a BRIGHT CLEAR TUESDAY morning. Clearly the moron who wrote this article never read the FBI Penttbom report that clearly states people claiming to be hijacked on 911, many of those calls were made while the planes were on the ground. Yes peeps like this ahole author easily convince the sheeple that conspiracy believers are all mentally blah blah. The same sheep that so easily believed hijackers with box utters were jealous of their freedom…. Not that USD currency was like forced in the name of democracy…. Like the CIA takeover of Chille on 9-11-74. Yeah I am a crack pot with a MBA and I know damn well 911 was some type of inside or IMF bankster job!!!!! “Yeah I am a crack pot” well the retarded, paranoid, spitting fuckwit, got one thing right.